As Mayor, I receive comments, both good and bad, on a daily basis. It comes in the form of emails, calls, social media posts, letters, and face-to-face as I go around Norwalk. I enjoy hearing directly from residents as it helps me check the pulse of what is happening around the city. Recently, what I have heard time and time again is that the permitting process at City Hall is frustrating. The city had planned for a permit signing day, but due to miscommunication, it unfortunately did not happen, and for that, I apologize. I hear and understand the concerns raised by wonderful volunteers who give their time, energy and talent into planning events for our community to enjoy. I am committed to revising and refreshing the permitting process in Norwalk and am pleased to announce that we have begun developing a new online permitting system. When the system goes live, obtaining a special event permit will be a streamlined process that is easy to understand and use. This will lessen the time volunteers spend chasing signatures around the city. In the interim, at my request, city staff is making themselves available for monthly special permit signing days. This will be a one-stop shop for those who need permits signed by city departments. These events will initially be limited to Norwalk PTOs and PTAs to help accommodate the multiple events planned throughout the end of the year. The first event will be on Oct. 23 from 10 a.m. to 11 a.m. The second event will be held Nov. 8 from 4 p.m. to 5 p.m. Both will be held in Room 231 at City Hall. We will continue to schedule permit signing events at varying times and days each month to accommodate residents. I am mindful of the time commitment it takes not only to plan an event but to ensure it is safe for attendees. The permitting process needs to be as easy as possible and should not be the one thing holding-up an event. I know when we launch online permitting that residents will enjoy its simplicity and ease of use. Please understand this will be a fluid process, and we will continue to revise the online permitting system based on your feedback. It is important to remember that special events held at a school or on city property require different permits and signatures. If there are any questions or concerns about your event, please reach out to me via email [email protected] or phone (203) 854-7701 so we may answer your questions quickly and efficiently. I look forward to continuing to work together to improve the permitting process. J-Man, aside from this mangled treatise – your most recent post / ghost written on behalf of this feeble public servant started with a nursery rhyme – “rain-rain” etc. Am I wrong? Is this because that brief about flooding addressed the DTC’s target audience directly & you think most folks in Norwalk are at nursery rhyme level communication? Meet ‘em on their turf? Given the pull one lever voting prevalent in this city – you are probably right. Now this article. After 5+ years, you have finally addressed the one single problem that explains why our city value has flat lined under Harry & the Council’s watch! Let me get it out of the way – no obfuscation – I believe you – HR – are the worst mayor in the history of Norwalk. The worst. I only looked back 50 years – but I’m sure I’m accurate in that assessment. Sorry, but “f” the party theatrics – look at the numbers. If you own or pay for a single-family home in this city – regardless of neighborhood – this period with Harry as “mayor” have been – statistically – among the worst in the entire country. Does the average Norwalk taxpayer get that? Compare us to the other states? Compare us to the nation? And for context – what was it 15 years ago? 25? Think about this homeowners – if you had taken the minus 25% beating Harry has applied to your homes – sold them at the advent of his last election – and placed every dollar into the market – you would have today a greater return than Norwalk housing values have seen since 2007. Just the last 20 months. That’s right. Party politics are intended – purposely – to create tribalism and division. So – so much easier to fund raise. It is so easy to slide towards a narrative that is presented based on national issues and platforms, when your true responsibility as a municipal voter is to address the local management team. In Norwalk – the overwhelming drumbeat and false narrative is that the democratic party will care for you – stand up for you – bla bla bla for you. Look at this very site for a rather standard representation of residents who feel the opposite – and who are in fact democrats. That’s the rub. This little ditty about a better permit process is the same as saying “we fixed the ice machine” to the Titanic passengers. Harry you should of used Mike he goes through antennas in the fire hydrants in South Norwalk for his sources . His communication skills seems effective enough to combat any miscommunication and is an excellent example of what you have leading Norwalk over the cliff. He must know what he is talking about he had your police chief and council members on the secret halfway house committee until their cover was blown. I would suggest a line item for cheese doodles for Mike paying him much more than that would send the wrong message , again its all about communication and respect. 1. 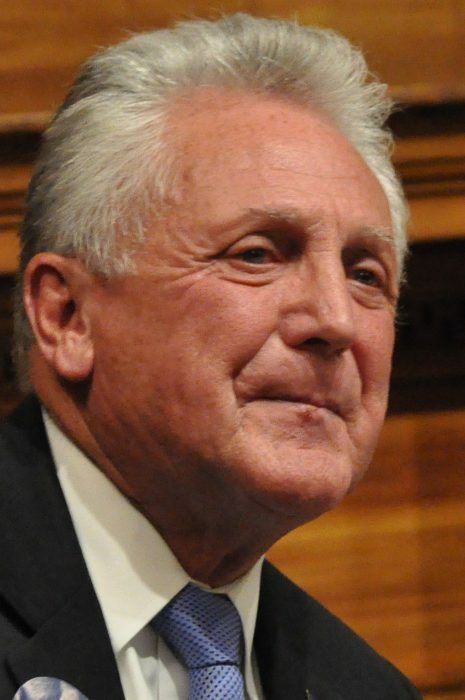 Mr. Rilling refers to “lessen the time volunteers spend chasing signatures around the city”. I hear “volunteer” which to me usually means limited resources. With that in mind, how about 9-10:00 on a Saturday instead of mid-morning or mid-afternoon on each of 2 weekdays? Anyone out there ever work in the private sector but do double duty as a volunteer? Newsflash: it is HIGHLY unlikely the volunteer can get over to town hall mid-morning or mid-afternoon. Said differently, can town hall employees leave work to go grocery shopping mid-morning or mid-afternoon? Sounds wacky and difficult, no? It costs 9 bucks a month for a minimum of 10 people to use! Where any of these explored? Thanks for emailing us. Your permit is approved and you’re ready to rock! We routed your permit request to the 7 people who approved it electronically. Please see the pdf attached – the email train shows all the people who approved your request. We will hang onto this pdf and you must too in case whatever the hell you are permitted for does not go sideways and Bill Ireland shows up, or we end up in court or…. the cops come. Please reply back if you think this is a good idea to route approvals via Outlook vs. you having to drive here in the middle of your workday to chase signatures that each take about 15 seconds to actually write or sign approved. With a Mayoral election coming up Mayor Rilling is now writing letters in newspapers on City topics and that’s a good thing. Here are few topics for future discussion. Why was Cong. Himes offer to have the USCG declare the upriver non-navigable as he did for Bridgeport thereby saving that City hundreds of millions of dollars. And another. Examples of how our highly paid Administrators have actually saved City taxpayers serious monies in providing City services. And why Prof. Search isn’t used at City Hall, only by the BOE. And have any problems receiving the same salary as CT’s Governor who really has very major responsibilities over tens of thousands of State employees and 3.3 million residents ? Thanks. Correction Peter: Josh is writing letters. Wish that energy was directed at grant writing and relieving residential property owners’ tax burden. If only there was some way to measure something like this and determine where the inefficiencies were. If only there were some tool one could use to implement a clear beginning-to-end process. I bet if you could come up with a company that did that type of thing, you could make a mint. Obviously not in Norwalk….but maybe in other places. I hearby nominate you to overhaul the entire permit process for all of Norwalk. Why are we only talking about special events for schools? The amount of time and energy wasted to get approvals and permits is mind-boggling, and there is no benefit to anyone for the time spent. With some simple solutions, this city could be working much more efficiently. The technology exists. Btw Docusign might be better than pdf. The good news is the mayor is talking about this and he is spending time on it. The bad news is the people in the system are in charge of creating and implementing new ideas. It is hard to make meaningful changes from within. Bring in Kevin Kane and many others like him!! In the real world of private industry and well managed cities it’s the CEO and/or Mayor that just gets the job done. No “commitments”. No “promises”. By setting the goals, hiring Top Talent and demanding results within a given time frame. Sadly Norwalk works to a different standard. And we have the taxes, declining property values and exodus of long time homeowners with that “standard”.